This magnificent, grade one listed, building, mentioned in Simon Jenkin's 'England's Thousand Best Churches', stands at the heart of the village. It was first built between 1170 and 1220 and there are some fine Norman remains from that period outside the east end of the church. 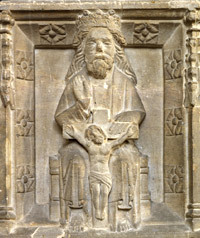 It was rebuilt and extended about 1220 and contains interesting additions and modifications from many periods since, including a contemporary sculpture of St. Bartholomew above the porch and a 'Crown of Thorns' aumbrey light by a well known local artist. 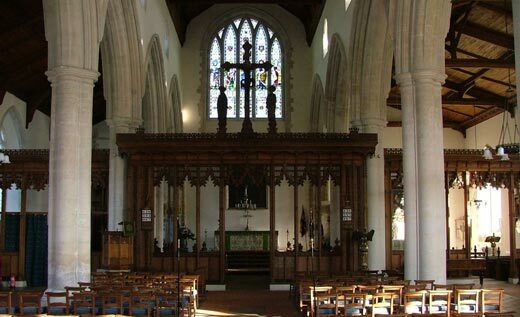 It has a very fine musical acoustic and was much loved by the composer Benjamin Britten, several of whose church parables were first performed here. 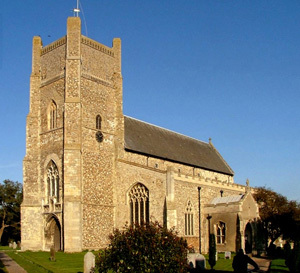 It still hosts a variety of concerts, including the Aldeburgh Festival. 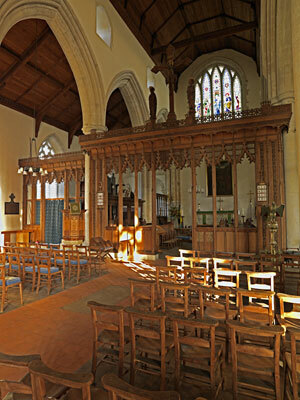 The church is open every day for visitors and those who desire a quiet space for prayer or thought. There is an 8.00am Eucharist – Book of Common Prayer – every Sunday and an 11.00am Service most Sundays, varying between Sung Eucharist, Family Service and Village Service. Morning and Evening Prayers are said most days (not Mondays) in church and there is usually a Eucharist on Wednesday mornings at 10.00am.